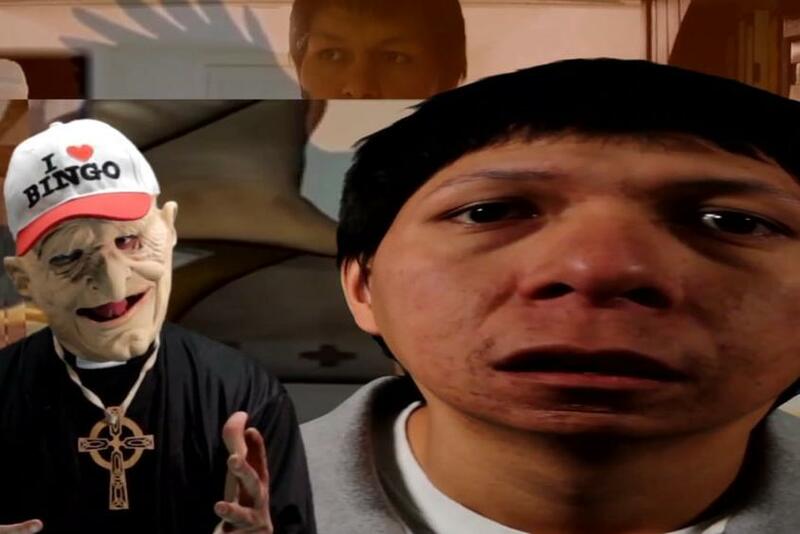 Film Screening: "Adam & Zack Khalil: Indigenous Futures"
With a practice that includes experimental filmmaking, documentary, performance & curation, Adam & Zack Khalil have charted out a critical & unconventional space for situating & interrogating ideas of indigeneity today. In their first feature documentary, INAATE/SE/, the Khalils re-imagine an ancient Ojibway story, the Seven Fires Prophecy, which both predates & predicts first contact with Europeans. A kaleidoscopic experience blending documentary, narrative, and experimental forms, INAATE/SE/ transcends linear colonized history to explore how the prophecy resonates through the generations in their indigenous community within Michigan's Upper Peninsula. In their recent short film, "The Violence of a Civilization without Secrets," the Khalils collaborate with artist Jackson Polys to reflect on indigenous sovereignty, the undead violence of museum archives and post-mortem justice through a court case that decided the fate of the remains of a prehistoric Paleoamerican man found in Kennewick, Washington in 1996.